Getting old but tough old guy. I got it used so it had problems from the start. I have to admit it is doing better than expected. I am finding it difficult to get a mechanic to fix it at times. It does keep going after each problem. The back windows do not work, the speedometer is off and the inside lights flicker when the headlights are on. It has 99 problems, but it keeps going. My main issue is working on the problems it has. Important things that go out are impossible to get to without either pulling out half the engine or lifting it completely. It is just getting costly to maintain. Great gas mileage and lost of room! 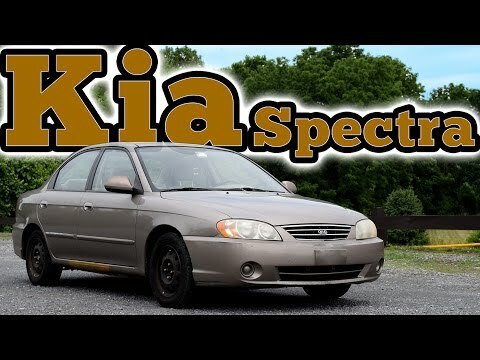 My Kia spectra is great, it is still running at 174, 000 miles just fine. I wouldn't recommend getting the car in navy blue because the paint job does start to get pretty bad. It has a lot of room and is very comfortable. Also it is very good on gas miles, I only have to fill it up once a week. It has never left me sitting. Bought this car new for my wife. It's been the most dependable vehicle i've ever owned. It's good on gas and still runs well at 176k miles. Im looking for a new car and will probably get another kia. It is a bit to small only issue.